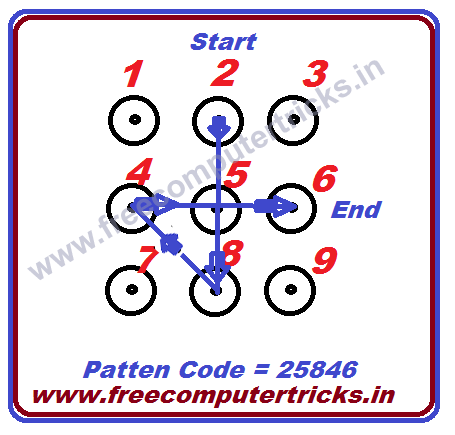 How to read pattern lock code on Panasonic P55 Novo? Here is the solution for read pattern lock on Panasonic P55 Novo MTK Android smart phone. You can read pattern lock of Panasonic smart phones using Miracle tool or Volcano Tool or any other flashing with MTK Android feature, and here is the example of Miracle Box and here you know the process to read pattern lock of P55 Novo using Miracle Box. If you do not want to delete or erase user data then this process will help you to remove pattern lock on Panasonic P55 by reading the pattern lock code with Miracle tool. If you need to unlock pattern lock on Panasonic Android smart phone P55 Novo without losing data, then this process with help you to read pattern lock code on Panasonic MediaTek Android smart phone P55 Nobo using Miracle Box. Please follow the below process to read pattern lock code on Panasonic MTK phones. This process will work for any Android smartphone having MediaTek CPU and here is the example for Panasonic P55 Novo or Panasonic P55 Nova. 2) Go to "MTK" tab then "Unlock/Fix" and select "Read Pattern". 3) Now connect the switched off phone to PC, and install Mobistel USB Driver. 4) Wait until the process complete, now you will see the Pattern CODE in number i.e. 25846. 5) Now switch on the phone and draw the pattern according the code you read. 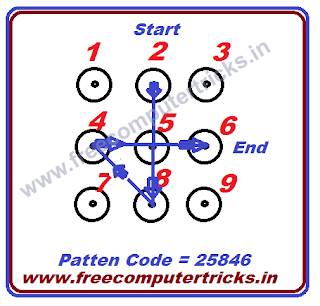 How to Use Pattern Lock Code To Unlock Pattern Lock? When you read pattern code using Miracle Box or any other Android flashing box, it shows numeric code for the pattern lock on the phone. If you need to know how to use these codes to unlock pattern for your Android smart phone, then please see the below image, for example the read pattern code is 25846 and see how to use it.